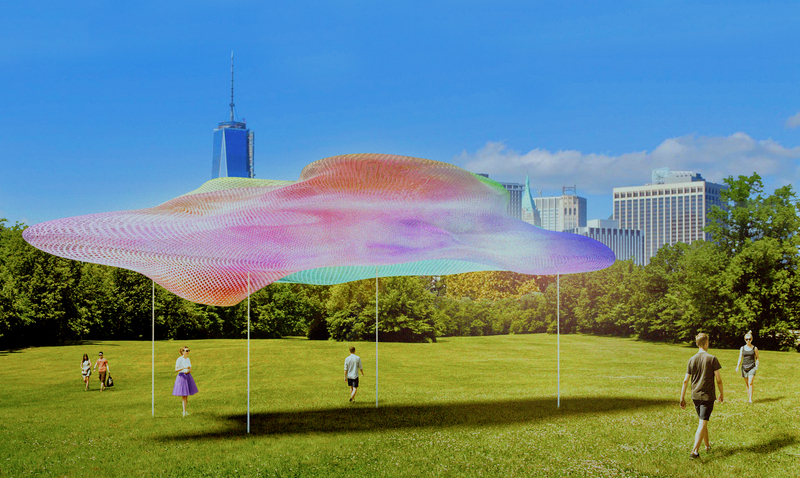 FIGMENT, the Emerging New York Architects Committee (ENYA) of the American Institute of Architects New York Chapter (AIANY), and the Structural Engineers Association of New York (SEAoNY) are excited to announce the winning design in the seventh annual City of Dream Pavilion Competition: Oculi by Austin + Mergold in collaboration with Maria Park (Cornell) and consulting engineers Chris Earls (Cornell) and Scott Hughes (Silman). This temporary art structure will be assembled on Governors Island and open to the public for the summer 2018 season on Governors Island. The winning design team will construct an architectural pavilion out of up cycled metal grain bins, connecting Upstate and Downstate. The City of Dreams Pavilion, so named for its focus on the future of a world that faces strains on both economic and natural resources, aims to promote sustainability-oriented thinking amidst the architecture and design communities, requiring designers to consider the environmental impact of their designs from materials sourcing to disposal (or ideally reuse) of waste at the end of the season. Josh Draper, Founder and Principal at PrePost and Lecturer at CASE, The Center for Architecture Science & Ecology, an architectural research center at Rensselaer Polytechnic Institute, will serve as a design mentor to the finalists and winning design team. 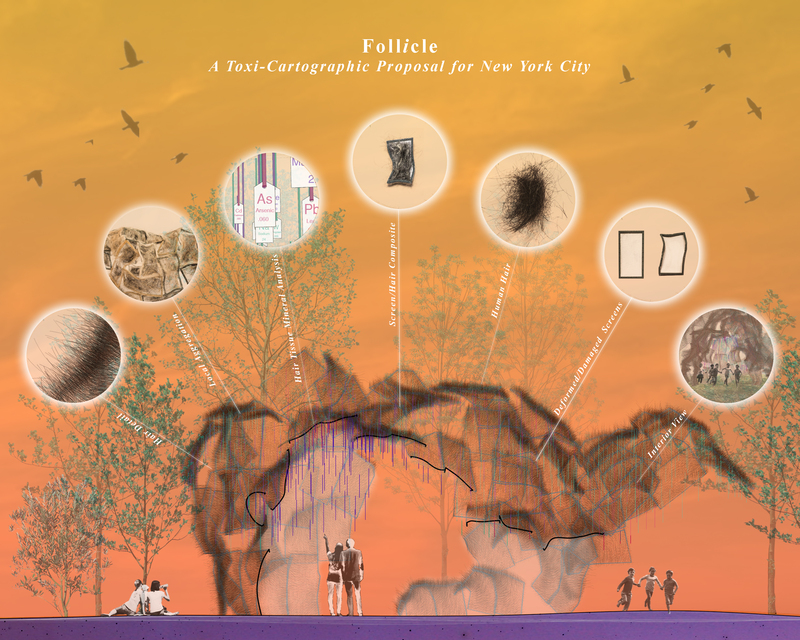 For more information about the pavilion visit: http://newyork.figmentproject.org/city_of_dreams_pavilion_submissions. Donations to support the pavilion and other FIGMENT projects can be made at: https://figmentnyc.nationbuilder.com/donate. FIGMENT has teamed with the Emerging New York Architects Committee (ENYA) of the American Institute of Architects New York Chapter (AIANY) and the Structural Engineers Association of New York (SEAoNY) to host a competition to design and construct an architectural pavilion on Governors Island. 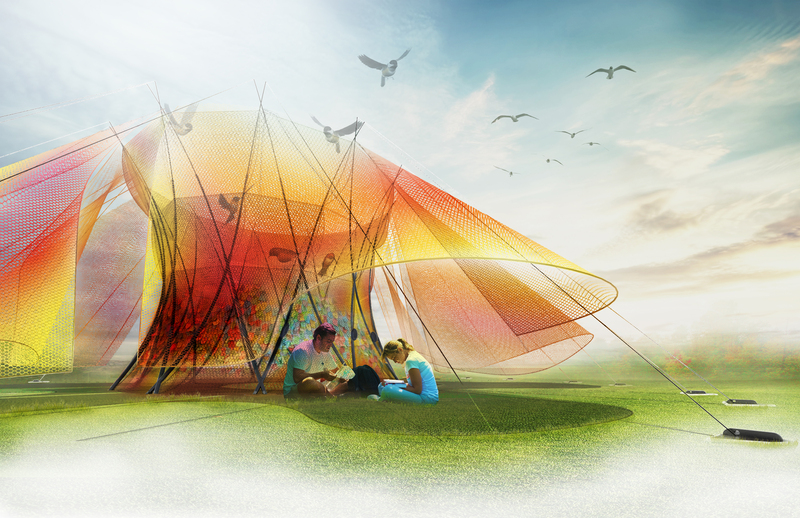 The 2018 City of Dreams Pavilion will be the end-product of this competition’s seventh cycle. The winning pavilion is to be installed on Governors Island for the 2018 summer season, from June through late August. The City of Dreams Pavilion will be a gathering place for people to meet, learn about the arts programs on the island, enjoy a performance or lecture, and experience the interaction of art and the historic context of Governors Island. Our theme for the pavilion, the City of Dreams, points toward the future. If we imagine a future New York City where anything is possible, what would it look like? In our wildest and most optimistic dreams, what is the future of the city? The current state of the world is such that both economic and natural resources are limited in ways we have never experienced in our lifetimes. A new way of thinking is necessary to solve the problems faced by the world. 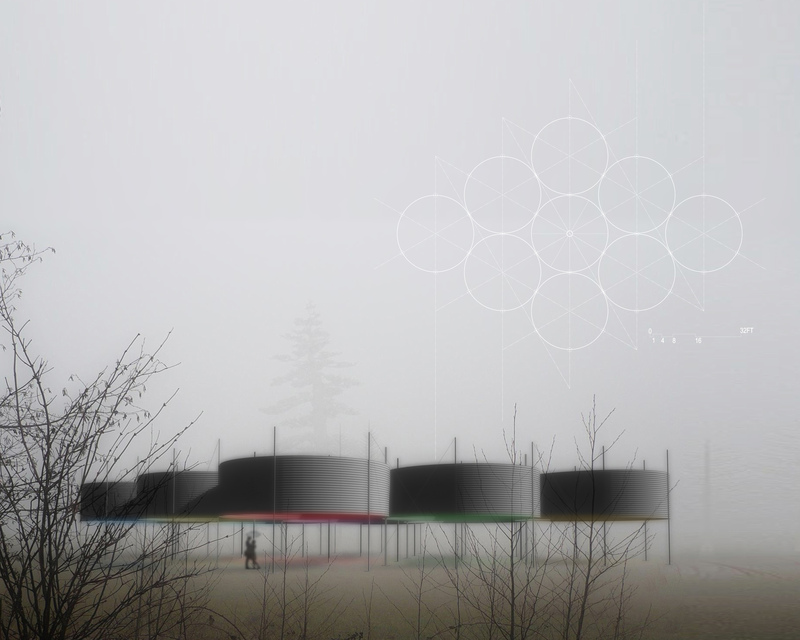 Instead of a typical design competition, the City of Dreams Pavilion asks entrants to design a temporary structure in the most efficient and sustainable way possible. Entrants are asked to consider the entire life cycle of building materials in their submission. Whether they do this by identifying companies that produce “cradle to cradle” products, garnering sponsorships from environmental or socially conscious groups, or re-using waste from construction sites, the materials used and the installation process should have as little impact as possible on the environment. 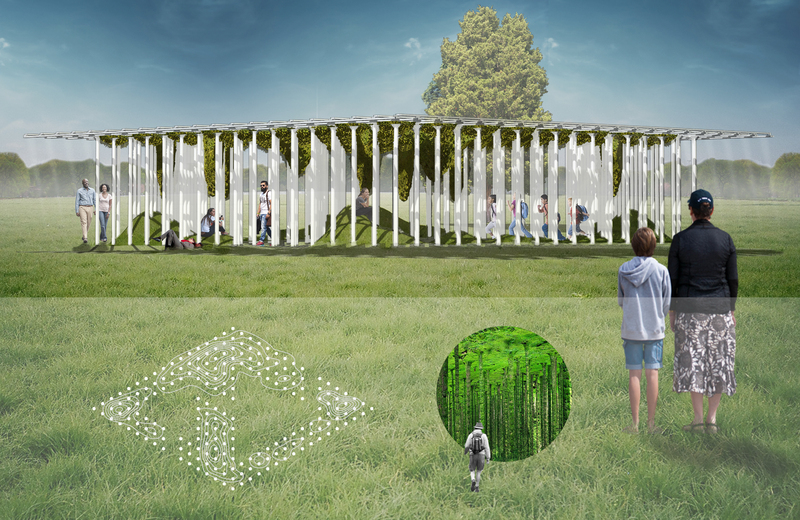 In the end, the goal is to create a pavilion that has net zero impact and that serves as a prototype for a new, truly sustainable way of thinking about design and construction. FIGMENT catalyzes and celebrates an abundance of creativity and passion, challenging artists and our communities to find new ways to create, share, think, and dream. FIGMENT’s free annual participatory arts event began in New York City in 2007 and has expanded to have 62 events in 19 cities in 5 countries. In New York, FIGMENT hosts a weekend-long participatory art event and an annual summer-long exhibition on Governors Island. For more information, visit http://figmentproject.org. It is the goal of the Emerging New York Architects Committee to encourage membership, participation, and leadership in the AIANY Chapter among intern architects, young architects (licensed 10 years or less), and emerging professionals in the fields of design and construction. The committee engages NYC’s diverse emerging design professionals through lectures, design competitions, and networking opportunities, with a focus on Professional Development, Design Excellence, and Public Outreach.. The association sponsors workshops, panel discussions, lectures and seminars with the aim of addressing topics of interest and concern to structural engineers. Our membership, which is over 500 members, includes individuals from most major structural engineering design firms in New York State. SEAoNY also reaches out to other professionals, outside the engineering community, who work in related fields with common interests. Currently, 10% of our membership are affiliate members who come from a variety of disciplines such as geotechnical, civil, construction management and architecture. The purpose of SEAoNY is to advance the art of structural engineering in New York by improving the flow of ideas and building the community of colleagues. Governors Island is a 172-acre Island in the heart of New York Harbor nestled between Lower Manhattan and the Brooklyn waterfront. Eight minutes from the energy and excitement of the City, the Island today is a popular seasonal destination. A resilient new park is complemented by dozens of unique historic buildings, environmental educational facilities, a rich arts and culture program and a 22-acre National Monument managed by the National Park Service. Unlike anywhere else in New York, Governors Island offers peaceful settings with sweeping views of the Harbor, Lower Manhattan skyline and Statue of Liberty. Looking ahead, the Island will be activated year-round as a sustainable center for learning and entrepreneurship, with plans for expanded commercial and non-profit uses in its future.